This perennial grass-like plant is mostly undistinguished from others until early spring. Then it dazzles the passerby with its almost exotic butter yellow vertical pom-pom blooms on a contrasting black stalk. This plant is only about 8 inches high, it loves wet areas and full sun and its bloom is fleeting. 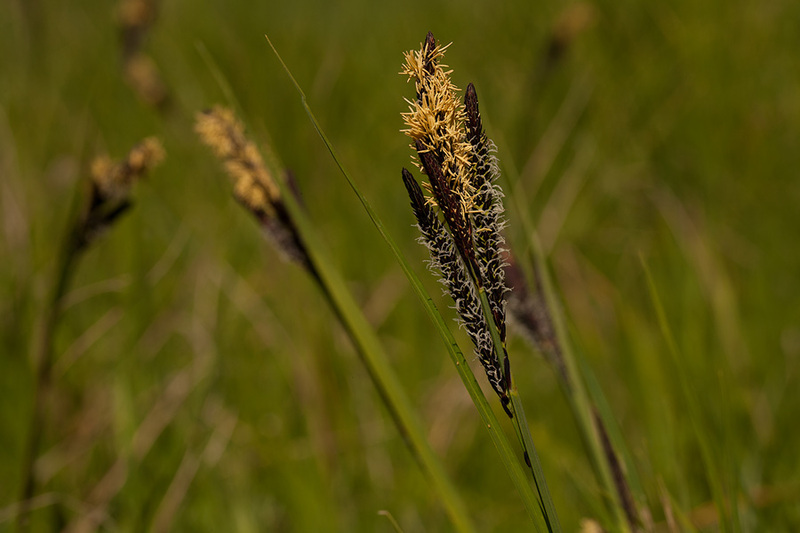 I think it's one of the sedges but am still waiting for a positive ID.